Botanical Name of Pipsissewa: Chimaphila umbellata. The name pipsissewa comes from the Cree Indians. The name means “broken into small pieces” and is derived from the notion that the herb could dissolve kidney stones. 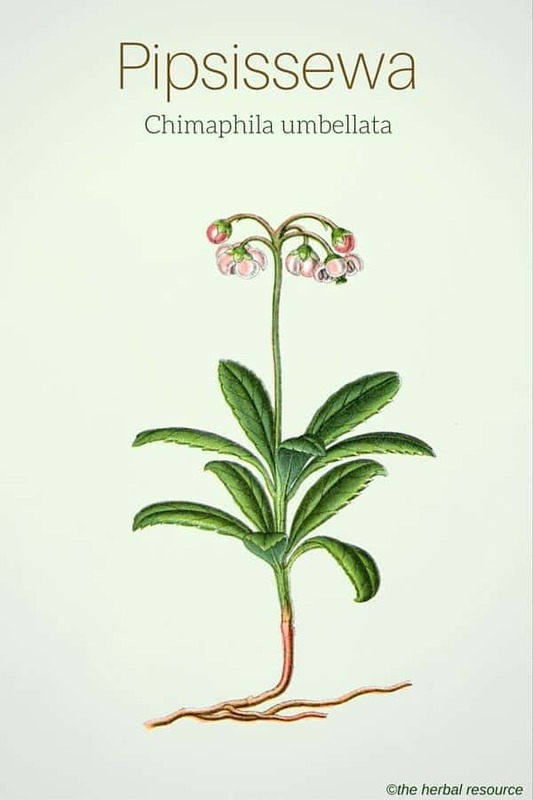 Other Common Names: Ground holly, prince’s pine, king’s cure, bitter wintergreen, false wintergreen, umbellate wintergreen, rheumatism weed, skærm-vintergrøn (Danish), pyrole en ombrelle (French), Winterlieb (German), chimaphila (Spanish). 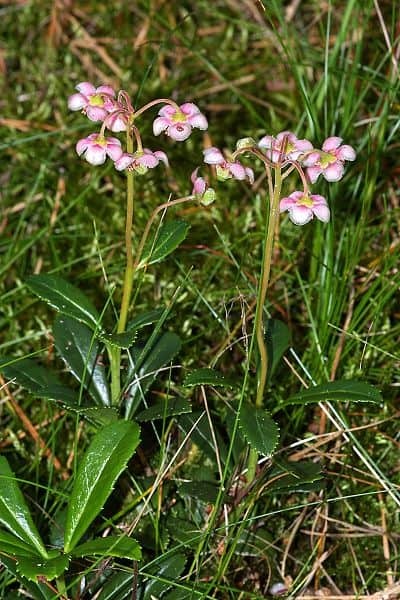 Habitat: Pipsissewa has a circumboreal distribution and is found in the boreal forest or taiga in the northern parts of Europe, Asia, and North America. Description: Chimaphila umbellata is 10-25 cm tall dwarf shrub with creeping and woody rootstock. The stiff, leathery, narrow oval evergreen leaves are 3-7 cm long with coarsely serrated edges. Each flower stem has 3-10 white or pink, cup-shaped flowers that are gathered in a display. The flowers are 7-12 mm in diameter and sit on 1-2 cm long, curved flower shafts. The flowering begins in late summer and continues into autumn. The seed capsules are erect and contain many very small seeds. Plant Parts Used: The aerial part or only the leaves are gathered when the plant is in flower and dried for later use in herbal teas and liquid extracts. The fresh leaves can be used externally as a poultice. Pipsissewa contains quinones (hydroquinones), flavonoids, triterpenes, phenols, methyl salicylate, essential oil, and tannins. Quinones have been proven to have a disinfecting effect on the urinary tract. Pipsissewa was an important herb among the native Americans in North America, and they used it in the form of herbal teas for a variety of health problems, especially as a tonic and diuretic medication for rheumatism, kidney and bladder ailments. The herb was also popular among the European settlers. Modern scientific studies have confirmed that the plant can be useful as a diuretic and urinary tract disinfectant. It was widely used and highly regarded by herbal practitioners in North America as a safe and reliable antiseptic and antibacterial agent for treatment of cystitis, painful urination, bladder and kidney stones, kidney inflammation, prostatitis, gonorrhea and other ailments. Chimaphila umbellata has the same effect on the urinary system as bearberry (Arctostaphylos uva-ursi). Both these plants have hydroquinone as the main active ingredient. 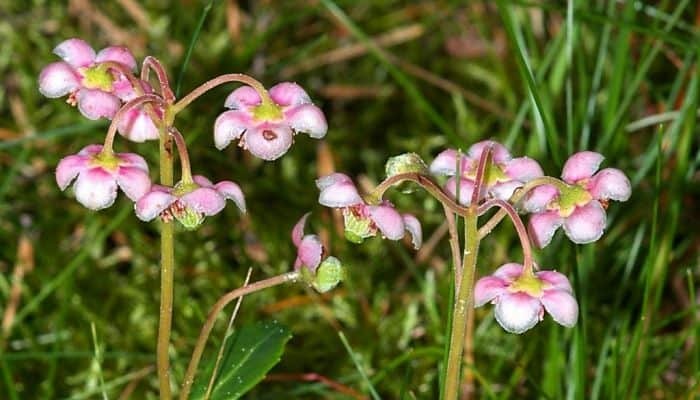 Pipsissewa has a lower content of tannins than bearberry and more diuretic properties which make it more suitable for long-term use. North American Indians used the plant to increase sweating, to treat fever diseases (like typhoid) and as a fevers reduce agent. Pipsissewa is a bitter herb which has been used internally as a tea to treat ailments of the respiratory tract like colds, whooping cough and bronchitis. Furthermore, it was used as a remedy for lack of appetite and poor digestion. Externally, an extract of pipsissewa was used as an astringent eyewash for sore eyes. Extracts of the fresh leaves can be used as a wash or wet compresses on the blisters, tumors, ulcers, and swelling. The leaves have has also been used as a tobacco substitute. Herbal tea can be made by steeping 1 teaspoon of the dried crushed leaves in a cup of boiling water, wait until it becomes cold and then strain. 1-2 cups a day of the cold tea can be taken daily. Extracts of the same strength can also be used externally as a poultice for boils and infected wounds. In addition, commercial pipsissewa tincture can be used, where the manufacture’s instruction should be followed. The substance hydroquinone found in pipsissewa is toxic in large doses and prolonged use of the herb can be harmful. 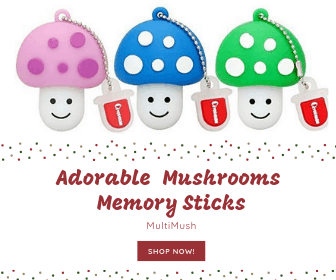 Large doses can cause diarrhea, nausea, and vomiting. Due to the content of tannins, it can reduce the absorption of some medication in the intestine and therefore the herb should be taken a few hours before or after any medication. The effect of this herb on women how are pregnant and breastfeeding is not known so a trained herbalist or other professional healthcare providers should be contacted before using pipsissewa as a medicinal herb. The plant can cause contact allergy and rash in some people. Karalliedde, Lakshman & Indika Gawarammane: Traditional Herbal Medicines, a guide to their safer use.London, Hammersmith Press Ltd. 2008.